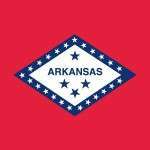 Arkansas Poker – Is Online Poker Legal in Arkansas? Arkansas isn’t one of the better states for poker players. Your first hint should’ve been the location. Arkansas is smack dab in the middle of the “Bible Belt.” So it shouldn’t shock you to hear that online poker is illegal. The area is filled with strong opponents of online gaming, with many citing their deep beliefs in religion as a primary reason for not wanting to be involved in anything like internet poker. Below I’ll tell you what the good news is – if any – and what the future might hold for Arkansas’ poker players. Is Online Poker Illegal in Arkansas? 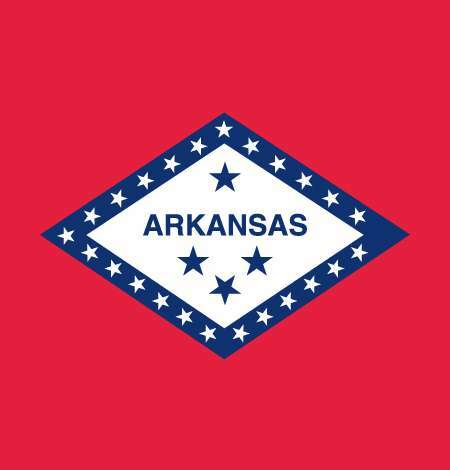 Let’s start with the obvious – online poker is illegal in Arkansas. That said, you will be able to find an offshore site or two – maybe 3 – that will accept players from your state. Just know this though – from a technical standpoint, any poker site you join is NOT legal. They are NOT regulated. And they are NOT supposed to process your deposits (neither is your bank). So it is safe to assume there is a lot of risk playing at offshore sites. They can take your money and run. And you have no recourse if something like that (or worse) happens. The good news is bad things like that don’t happen often, especially if you stick to sites we suggest. The chances of legal consequences are slim, too. It went on to say that your chances of getting in trouble would increase if you were caught playing poker in a public setting. Think hotel or library in that scenario I suppose? What About (Live) Casino Poker? There aren’t any casinos in Arkansas. So your chances of getting to play live poker are non-existent from the get go – sorry. In fact, if you Google ‘Arkansas Casinos’ you’ll actually get a list of casinos in nearby states, like Mississippi or Oklahoma. The only legal gambling you’ll find in Arkansas is dog racing, horse racing, the state lottery and charitable gaming events. Some of the dog racing tracks do have video slots, blackjack and poker terminals – you just have to be 21 years old or older to play them. Unlike most other states – even those in the Bible Belt – home games are illegal here. That’s a small fine. So it might be worthwhile to risk playing anyway. And that’s even assuming there’s a high chance of your house being surrounded by SWAT and the FBI with the plan to knock down your door and come in guns blazing. So if you can keep your home games quiet, you should be able to get away with it (keep in mind that’s not legal advice – consult a lawyer beforehand). Outside of home games your best option is to find free bar leagues like All In Poker. These require no buy in (per law) and award some type of prize based on the points you accumulate throughout the month or season. How Does The Future Look For Arkansas Online Poker? Dim. There’s just no other word to describe the situation right now in Arkansas. The laws are outdated here, and it appears the state is okay with that. There have been some attempts to change things in the last few years. One worth noting is from 2012 when Nancy Todd, a recreational poker player, started to collect signatures in attempt to open a ‘poker palace’ in their state. Well, their goal was to open a handful of them.